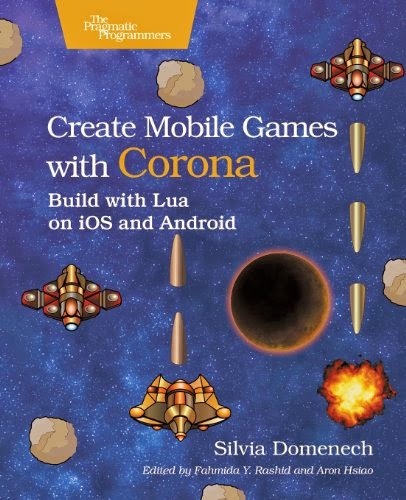 Develop cross-platform mobile games with Corona using the Lua programming language! Corona is experiencing explosive growth among mobile game developers, and this book gets you up to speed on how to use this versatile platform. You'll use the Corona SDK to simplify game programming and take a fun, no-nonsense approach to write and add must-have gameplay features. You'll find out how to create all the gaming necessities: menus, sprites, movement, perspective and sound effects, levels, loading and saving, and game physics. Along the way, you'll learn about Corona's API functions and build three common kinds of mobile games from scratch that can run on the iPhone, iPad, Kindle Fire, Nook Color, and all other Android smartphones and tablets. Get a crash course in cross-platform mobile game programming using the Corona SDK. Corona, one of the easiest to use mobile gaming platforms, makes this often-difficult process both quick and easy to master. Even if you have little previous programming knowledge, you'll feel comfortable as we begin with fundamentals before building examples of the most common kinds of games on the market today. You'll develop arcade, side scroller, and tower defense games from start to finish, and Corona will automatically turn them into apps that can run on both iOS and Android devices. These finished apps can be used as ready-to-go frameworks for your own future projects. You'll learn how to write clean, easily maintainable, easily expandable game code, and to create online leaderboards for your games. You'll also find out how to make money with games: enabling in-app purchases and in-game ads as well as how to get apps into the iTunes App Store, Google Play, and the Amazon Android Marketplace. This book focuses on getting quick and effective results. Every page teaches by example and explanation, not with abstract lists of functions and variables. By the time you're done, you'll have learned most of what there is to know about mobile game programming and about the Corona SDK.